Okay, first of all, I’m not an extreme Jurassic World fan. I’ve only watched the 1997 The Lost World: Jurassic Park movie, which was playing on Fox Movie On Demand and starred Vince Vaughn and Julianne Moore. 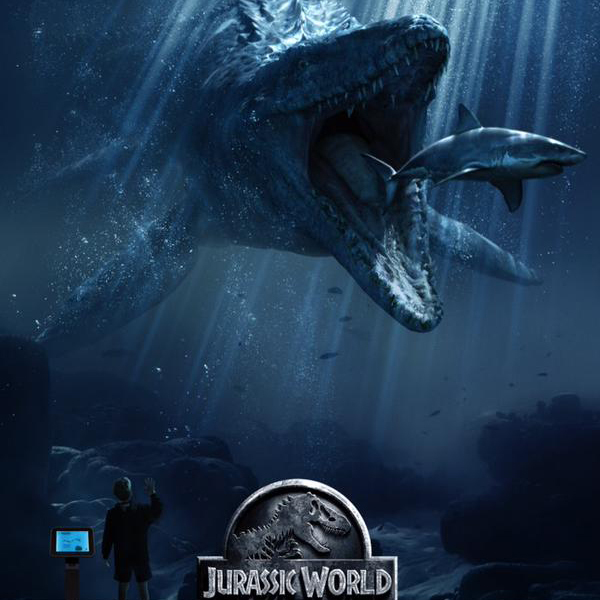 I watched the Jurassic World movie on its opening day in Singapore. It was really hard to get seats for the movie, but we (my family and I) got them and watched the movie. I know it’s been awhile. I’ve just haven’t had much time for anything other than schoolwork lately, and the stress of doing this review well was also affecting me. I mean, c’mon, it’s Jurassic World. Any hyped up movie will definitely stress newbie bloggers out. I am definitely a newbie blogger, with only four months of semi-regular postings under my belt, and I am definitely stressed. I still have an Avengers movie review somewhere. Need to get to that pronto. I also don’t actually have a ratings list, so if you want to know what I feel overall, just scroll to the end paragraph. I particularly like this poster, because it shows the actual main characters of the story. This is a surprisingly feministic film. 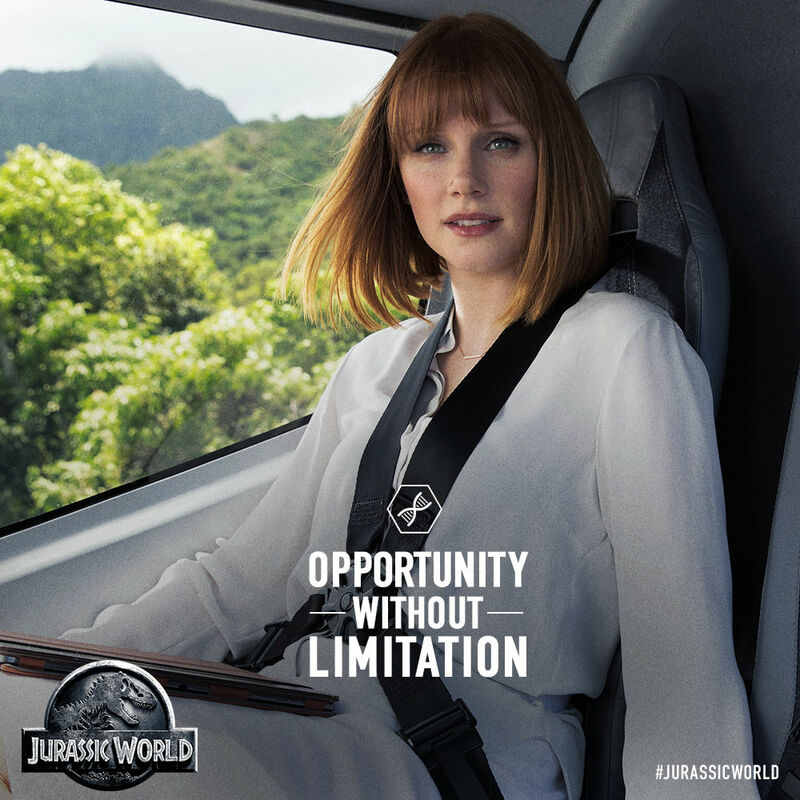 I feel that both Claire and the Indominus Rex have a consistent story arc – Claire becomes more in touch with her humanity, Indominus Rex explores the world outside of her confined area and thrives in the outside world. The rest of the characters are a little ham-handed, and a fair bit of a sausage fest. From the casting list, there’s only about four female characters (Claire, Karen, Zara and Vivian.) Karen was very ham-handedly written. I feel like the line ‘if something chases you, run’ was almost written for the trailer, rather than a scene. It just seems awkward. Zara seemed like a one-beat character, as the nanny that the teenagers run away from. Though I was happy Katie McGrath was on the silver screen, it was saddening to see the character she was given. I mean, I can see that she tried, but despite the one note that she was to be married, I feel that there wasn’t enough meat to her character to make us care, though I cringed at her death scene, which apparently wasn’t even what was initially conceptualised, as it would have been a park ranger, then a photographer. I just feel that she could’ve done more, like help Lowery man the fort. Vivian is just…sigh. She was the damsel in distress. There’s nothing else about it. Basically does nothing, although kudos to her for trying to alert the tourists about the escape of the Indominus Rex. And a tiny sliver of a moment when Lowery tries to kiss her and she tells him she has a boyfriend. Well, Claire is pretty obviously my favourite. Cool, detached and almost robotically efficient, she was the epitome of a corporate mouthpiece. I almost hated her in the beginning, because she looked all perfect and everything, and I was almost afraid of her after the scene where she just smiled as she explained that the Indominus Rex ate her own sister. But then she met her nephews, and had that talk with her sister (okay, her sister overacted, but Claire’s reactions were pretty spot on and natural. That’s how my mom and her sister talks sometimes.) and she slowly starts to get reconnected with her emotions. I actually like her and Owen (played by Chris Pratt), though I found some of the lines a mini cheese fest, like ‘Let’s stay together…for survival’. I personally buy the fact that the dinosaurs look the way they do, partially because the movie actually addresses the issue and makes sense. It’s kind of horrifying, the parallel between making dinosaurs ‘bigger’, ‘more teeth’, ‘scarier’, and the current Hollywood market. Directors, especially those helming the superhero movies over-saturating the media since 2009 onwards, have to keep upping the boom factor, or people will ‘become less interested’. Maybe the action movie buffs. I doubt the fans will be very happy if the boom factor becomes the only deciding factor to watch the movie. Exhibition Infinito – The entire Transformers series under Michael Bay. Though to be honest, the guy doesn’t have much talent other than coming up with ways to make things go boom. The CGI is also pretty cool. There’s this video here that pretty much sums up the two movies. I haven’t watch the 1993 Jurassic Park because 1. I’m born in ’96. 2. I didn’t know it existed until I watched WatchMojo. I’m no CGI connoisseur, but the CGI should be fairly convincing for the common layman. People have issues with the trailer CGI from 2015 to 1993, but I think it’s because most of the 1993 movie dinosaurs were actually there, with less than half of the movie dinosaurs being CGI. It’s definitely not going to get an Oscar, it’s probably not the worst Jurassic movie out, and it’s definitely a good time if you like monster movies, dinosaurs, cool action and funny dialogue. I recommend bringing children who are over 12, because the violence can be frightening to younger children. Definitely an introduction to your kids of the Jurassic Park, if you can’t show them the 1993 version.